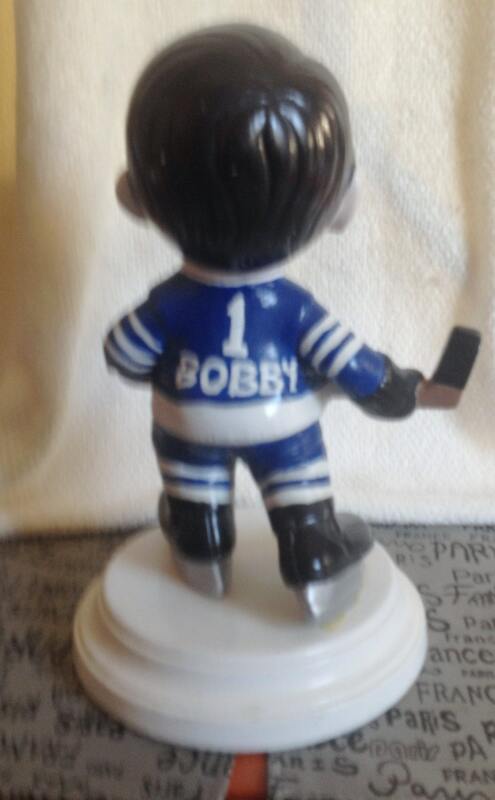 Vintage ceramic hockey player figurine named BOBBY player #1! 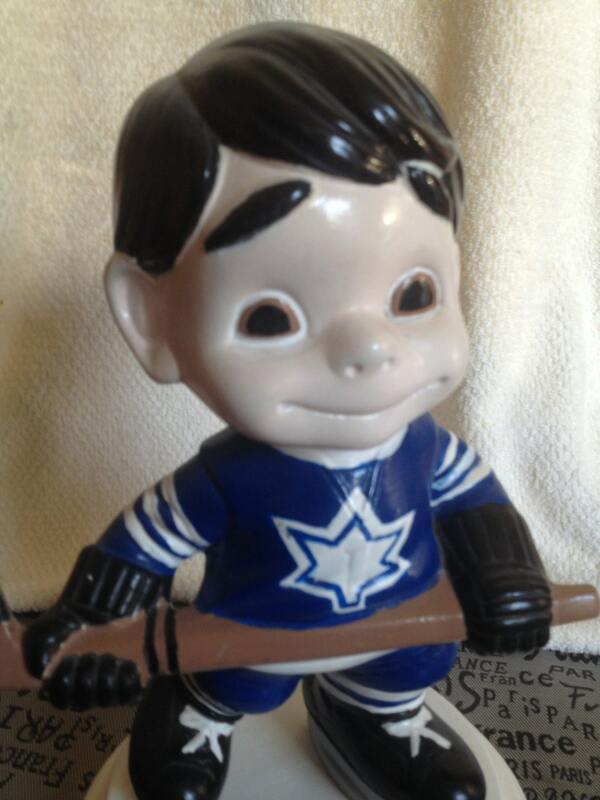 Toronto Maple Leafs Uniform. Great kids' room decor! 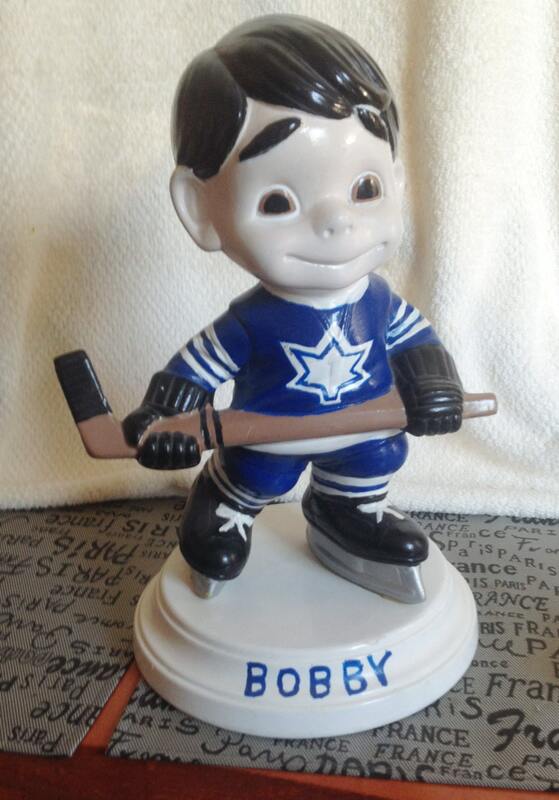 Vintage ceramic hockey player figurine named BOBBY with the #1 holding his stick and ready to roll onto the ice and score! 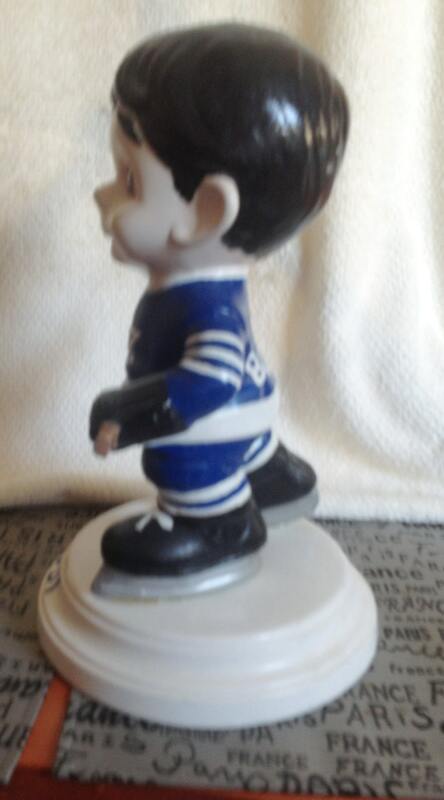 Toronto Maple Leafs Uniform. Great kids' room decor! In EXCELLENT! condition with NO! 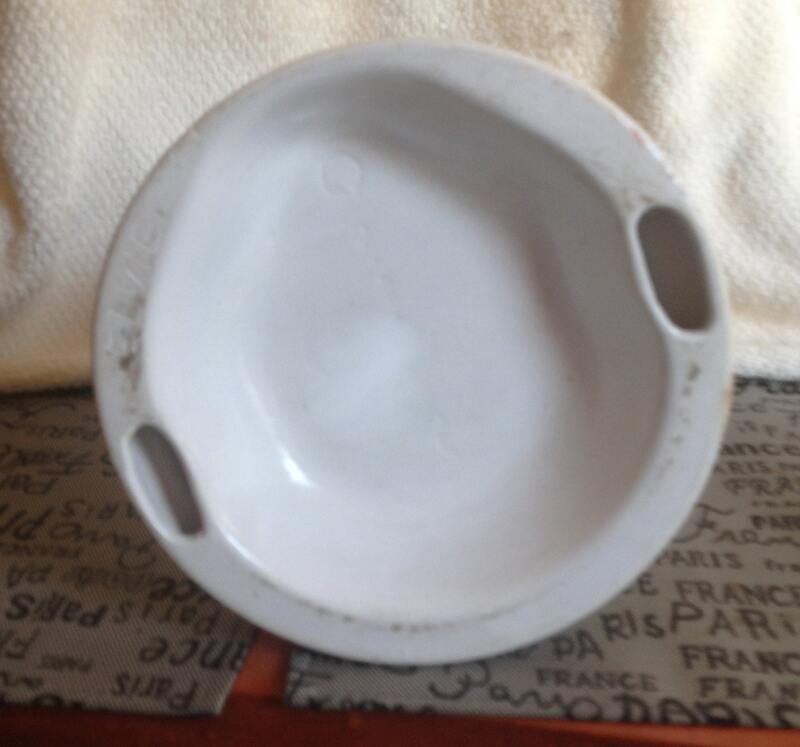 nicks to the ceramic and NO! chips or rub-off to the paint.